Hanukkah, also known as Feast of Dedication or Feast of Lights, is a winter feast that we are never told directly by God to celebrate. Yet, in protestant Bibles, we can find two places where it is celebrated. Jesus apparently seems to be participating in John 10. We also see this feast being celebrated in 2 Chronicles 7 when Solomon dedicates the newly built temple to God. According to tradition, Hanukkah wasn't created until after the Maccabean Revolt, some 400 years after Solomon's rein. What was the Maccabean Revolt? Around 2nd century B.C., the Greeks came into Israel and desecrated the Temple by setting up an altar to Zeus and sacrificing pigs on it. The Jews were so outraged by this that a terrible war broke out, lots of people died, the streets ran red with blood, and the Greeks got kicked outta Dodge... er.... Jerusalem. As soon as the Greeks were out of the picture, the Jews cleansed the Temple and RE-dedicated it to the LORD. They simply re-did what Solomon had already done. Some time after that, the "Feast of Dedication" became a traditional celebration and is associated with the Maccabean Revolt to this day (I guess Solomon had enough cool stuff credited to him already - he didn't need a memorial day). There really aren't any rules when celebrating Hanukkah, though there are a few traditions. The only old tradition my family and I observe on Hanukkah is the lighting of the Menorah. 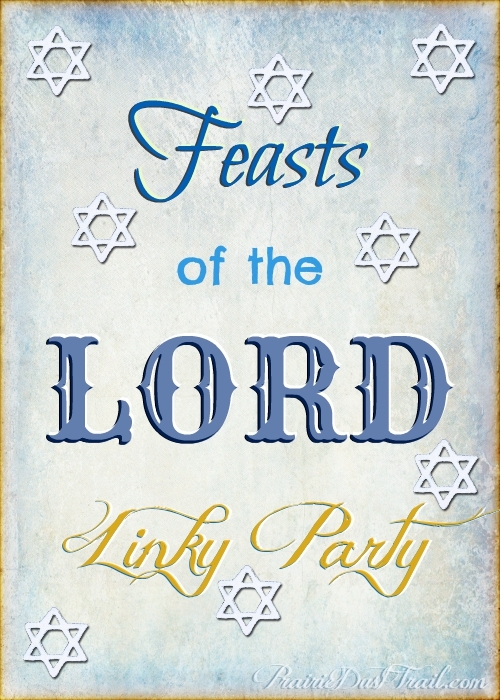 You can read about that, and other things we do on Hanukkah, at my mom's blog post here: Feasts of the LORD - Dedication 2015.